The most anticipated and talked about social platform Google + is finally here enhanced with customized experience of “Real life sharing, Rethought for the web”. Google has endowed searching with unprecedented profound dimensions and now it has taken up the Herculean task of “fixing” the way we socially “connect” online. Not to mention upon completion, it is supposed to leave Facebook behind, especially on the terms of privacy and security. Now let’s figure out what this big plus is all about! A New Socializing Experience: Google has initiated Google + to match the growing needs of online socializing in accordance with the concern for online privacy & security and revamping the reclusive identity of Google. Google + is/would be the new social platform to simplify social sharing and connecting experience. The Initial Stage: Remember the launch of Google+ 1 button? Well, up to an extent that was first impressive step by Google to go social after the failure of Buzz. This googalised version of Facebook “likes” is supposed to make Google a more of social experience like Facebook. Now if you like anything, all you have to do is press Google + 1 button and it will be the Google’s job to spread it around. These resembling features have definitely rendered Google + project as an adversary to the much loved and followed Facebook. Facebook like button was supposed to be replaced by the Google + 1 button in other sense. · Customized Experience: Till now Google+ experience is available exclusively to a selected few upon invitation. And as per TechCrunch reports, Mark Zuckerberg is the most followed person in Google+. 1. Circles: Google + claims to make our online connection with friends customized and personalized by removing the online “nuisance” as much as possible. It targets the user’s need to share selectively by introducing “Circles”. Now you can create circles of your contacts and get away with all the hassle of filtering out information according to your total friends. For example my friend relayed his boozing highs and hang over lows on his facebook status updates but faced stark repercussions from his colleagues, boss and senior friends. Now he can easily express himself in the selective circle of his choice. To mention here, Anthony Weiner would certainly wish for such a selective option for twitter as well. The concept of circles also reminds of group texting application of cell phones. “Circles” is the distinguishing factor between Google+ project and facebook. 2. Hangout: Live video chat called hangout is the function that Facebook lacks and is present in Google+. This feature is supposed to stir the world as it would cost you not even a single penny. It is also being said that Skype would hate this feature as it would definitely kill their market at least by a definable percentage. Hangout is not just a multi-user video chat option but much more than that. Once you are into a hangout, you can plan events with friends with the help of this feature in a much better sense than Facebook events. You can also watch a YouTube video with friends in real-time. In hangout, everyone in the group has the access to play, pause, search the videos, hence making it much lovelier to adapt to the requirements of a group. 3. Spark - The content part: Facebook with its associate search partner Bing doesn’t perform well in popping up the contents one is exactly looking for. But in Google+ we are more than sure to have the contents we are exactly looking for – mind the search engine as a whole. · Google + …A Safe Experience: The biggest highlight of Google + project is their consideration for user’s privacy. The circle of friends will make your socializing spree safe and hassle free. The fright and uneasiness of being listened by everyone inhibits the freedom of expression. So “Circles” will make you safely vocal. · Part of the Process: Google has visualized Google + project as part of its endeavor to socialize the search engine giant rather than as a social networking competitor. So it must not be analyzed in isolation. Even the sign of + signifies the fact that Google + is designed to improve the functions of google. · How to Import Contacts to Google +: Google + project imports friend from google contact services but they are also considering of providing the facility of inviting friends from Yahoo and MSN. The question that everyone is asking whether facebook will also be streamlined for importing friends. The real job for Google + would be to make people build new profiles for it. Now that’s really a hard task as it would require user’s precious time and effort which to be honest are the rarest and most sought after entities. · Google + is a Pro: +Spark is a pro as it won’t need your effort to start a conversation. You just need to pitch in the topic of your interest and it will bring up interesting and upbeat information for you. · Mobile Friendly: ‘Google + project’ is mobile friendly which makes it easily accessible as it works well on Android tablets and phones. The +hangout will let you share your hangout experiences face to face, so now it’s easy to virtually connect with your friends . It would be easier to upload pictures and share locations even through your mobile devices once Google+ launches the promised Google+ mobile app. · Good News for Developers: Unlike Facebook, Google+ promises a larger part for developers. Google has already announced the launch of developer platforms. It definitely holds a great future for the game and app developers. The temptation to compare any social networking platform with Facebook is hard to resist so when it comes to Google+ Vs Facebook, the temptation gets impossibly heady. · The Undeniable Resemblance: The interface of Google + echoes Facebook to a great extent. Google+ “stream” has unmistaken resemblance with facebook news feed. The photo tagging option, for which Facebook has already been awarded the patent, will definitely infuriate a rage between these two giants FB and Google in a near future. 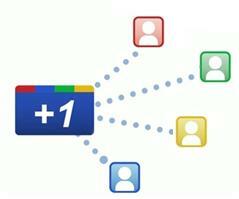 · Why would People Shift from Facebook to Google +? The biggest question is that why would people (750 million & happy and satisfied with Facebook) would waste their energies in shifting to Google +. Well, the best part - Nobody needs to move from Facebook to Google+. Indeed, every one of us uses Google at least once in a day and hence we make the way for Google+ almost in an automatic way. · How would it beat the Giant? Google + needs lot of time to evolve its identity as social connect to compete with Facebook’s insane following of around 500 million users worldwide. The new buzz of the town is that Google + would emerge as a successful platform only if it manages to collaborate with other social media networks like twitter. So Google + has definitely a big challenge ahead. Especially, to mention, people all over the world are not well-adapted to Google personal profiles and under such a scene Google+ would definitely have to face a lot of rumbles ahead.